The Woolworths (WW) Style by SA is the retailer’s initiative to support local fashion designers by giving them access to bigger market, exposure, and accelerates the learning curve with respect to many other logistical factors within the fashion ecosystem. That an emerging fashion business would normally not have access to or would take them longer to learn or attain. Devoid the know-how or guidance of retail conglomerates such as Woolworths and institutions likes SA Fashion Week and The Fashion Agent. Essentially under a different name, Style by SA is a continuation of the retail chains project which they started in 2002 and stopped in 2009. Then it was called South African Designers at Woolworths and the design capsule collections project was in partnership with Maya Prass, Stoned Cherrie, Craig Native, and Stephen Quatember. Style by SA started off as a campaign focused on partnering with various local content creators to promote the retail chain’s own in-house lines such as RE:denim, Studio etc. Consequently, in 2016 the retailer diversified Woolworths Style By SA to become an exclusive capsule collection designed by South African designers for Woolworths. Read (https://accordingtojerri.com/woolworths-partners-with-8-local-designers-to-kickstart-their-2017-stylebysa-campaign/) if you need to catch up on Style by SA for context. The partnership model is in conjunction with SA Fashion Week and The Fashion Agent which is SA Fashion Week sister company. 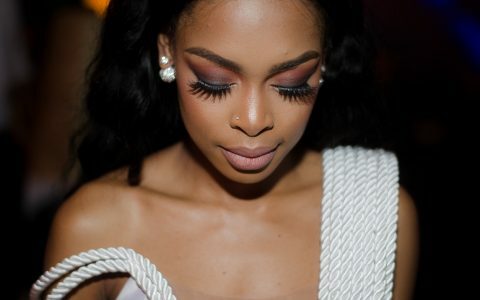 In essence, SA Fashion Week plays the role of showcasing the designers’ collections on the runway, The Fashion Agent facilitates and manages the relationship between all the stakeholders (designers, retailers, manufacturers, media, buyers, stylists et. al) involved within the ecosystem of this partnership. From the collection showcased during fashion week, Woolworths then plays the role of a retailer buyer. They select and edit the respective designers’ garments according to their customers ‘taste’ and provide a distribution channel by selling the garments in both their retail and e-tail store to end customers. From a marketing strategy framework, the retail group will then enlist the paid or trade of exchange services of various traditional media outlets of choice. Their faves; Top Billing, Afternoon Express, The Sunday Times, etc. Furthermore, a sprinkle of influencers and public personalities are hired to help gain market exposure, publicity – that hopefully translates into sales, foot traffic and content engagement (clicks, likes, retweets and comments). Some of the methods they have used in the past were to seed influencers and public personalities with clothing to wear to fashion week shows or for their general OOTD (outfit of the night) or OOTN (outfit of the night). The content is then shared across the respective influencers and celebrities’ strongest social media platforms pre-, during and post the season collection. 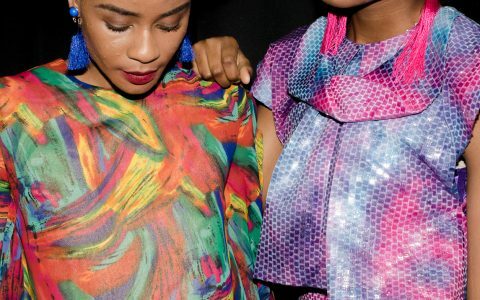 Wanda Lephoto is a 26year old LISOF fashion design graduate. Lephoto is part of a fashion collective called The Sartists (Andile Buka, Kabelo Kungwane, Wanda Lephoto and Xzavier Zulu) formed in 2015. The Sartists has since been placed on ice as the four respective creative individuals explore their individualistic creativity. This will be the third time Wanda showcases at SA Fashion Week under the Woolworths Style by SA umbrella. MumsoMaxwell is a womenswear line formed in 2016 by Maxwell Boko (26) and Mmuso Potsane (27) who were both part of fashion incubation program, ‘The Intern by David Tlale’ in 2016. They were the winners of the 2017 SAFW New Talent Search designer competition in partnership with Sunglass Hut. The design duo is still represented by The Fashion Agent a relationship they decided to continue past its expiration date of one year. 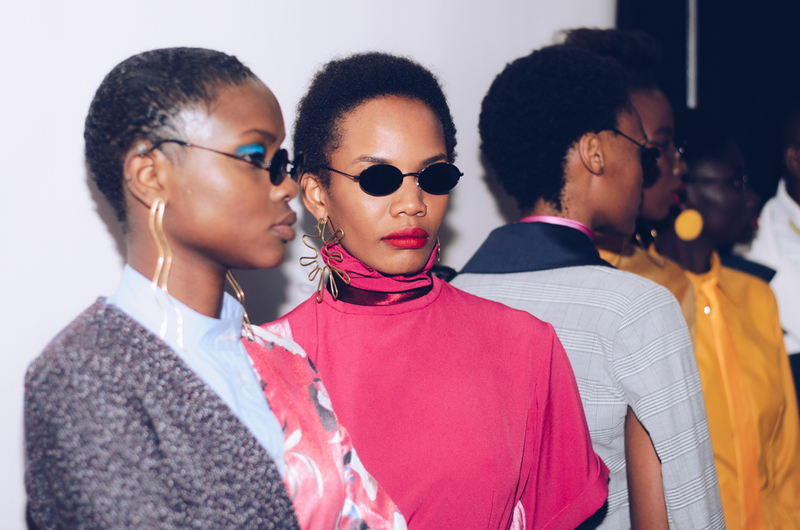 The fashion brand’s representation by The Fashion Agent was part of the package prize the duo won from Sunglass Hut x SAFW New Talent Search designer competition. Potsane graduated with a Diploma in fashion design from Tshwane University of Technology (TUT) in 2013 and Boko graduated with a Diploma in fashion design in 2016 from Vaal University of Technology. This will be their inauguration collection as part of the Style by SA class of designers. On 27 March 2019, Magugu was shortlisted as one of LVMH Prize for Young (under 40years old) Designers top 8 finalists making him the first South African fashion designer to attain this accomplishment. And one of the two African designers to make the finalist list, a first for the competition since its inception. This he achieved with help from his peers, the British Council, British Fashion Council, London College of Fashion, UAL, and Somerset House. 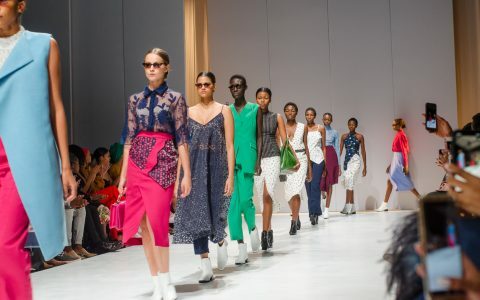 The International Fashion Showcase (IFS) established in 2012 is a platform that provides a tailored programme for a number of emerging international designers from different countries. This incubation includes a business development programme for the 8months lead by London College of Fashion and a creative residency within Somerset House Studios in London. Some of the South African fashion designers who have been part of this program in 2015 are; Adriaan Kuiters & Jody Paulsen, Akedo, MaXhosa by Laduma. The WW Style by SA opens this season’s shows at SA Fashion Week on Wednesday, 3 April 18H00 at Sandton City rooftop.